We continue adding new content to our huge free update which currently is in Beta stage. Its goal is to significantly improve the editing possibilities. For a long time, modders asked us to add new colours and new types of shirts. We've heard you ;) In the last Beta update, we've increased the number of colours from 10 to 100, and the number of shirts from 30 to 82. Increased the number of shirts from 30 to 82. We tried to implement the most used shirt images so you'd be able to recreate your favourite clubs. Few old shirt images were changed to make them fit organically to the new ones. Increased the number of the colours from 10 to 100. Now, every colour has 10 shades. [NEW] - Added a new screen which allows changing some game world settings before the start of a new campaign. There, you will be able to change the rating of the countries, rename tournaments and change the starting year. [NEW] - Added a new tab to the Rename Tournaments screen. 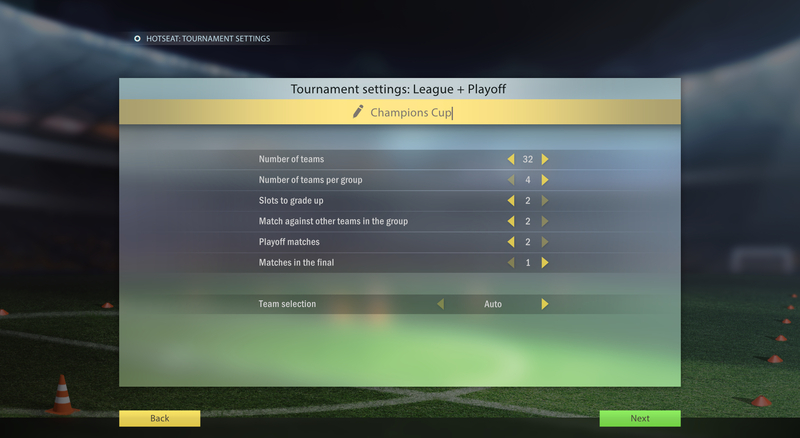 There you will be able to change the names of the tabs "Leagues", "Cups", "Continental Cups", "Countries". It might be useful for those players who create special sets of modifications where instead of Countries you use regions, lands, states etc. [Improved] - Added the button "Rename Tournaments" on the main modification screen. [Improved] - Significantly improved the Faces Generator. Now, there will be more diverse faces (fewer chances of having too similar faces). Some faces in the already started campaigns might change. [Fixed] - If you changed the starting year, some messages showed the wrong year. [Fixed] - In some cases, when you changed the power of the teams, at the start of a new campaign the power was wrong. [NEW] - В результатах совместной игры добавили статистику по лучшим футболистам. [Fixed] - Removed the hot seat message which mistakenly was shown in the single-player campaign when you switched between default and tactical views. [Fixed] - In some cases, the penalty conditions worked wrongly in the hot seat mode. [Fixed] - In some cases, in hot seat mode, the logotypes of the chosen teams were displayed wrongly. [Improved] - At the end of a season, you will see the stage you reached in the cup (win, finals) instead of fake place (1st place, 2nd place). [Improved] - The goalkeeper model is made less "fat". [Improved] - Improved the heavy rain effect when the camera is zoomed. [Improved] - Removed rewarding sounds, which were played when you opened Specialization screen to upgrade a footballer. They were annoying. [Fixed] - In the previous update, money for reaching high stages in the tournaments weren't paid. [Fixed] - After goals scored from free kicks, the celebration animations didn't start. [Fixed] - Disabled the celebration animations after missing the goal. [Fixed] - Removed the demonstration of the yellow cards earned in the previous matches. [Fixed] - Team photo was saving with the wrong aspect ratio. HOW TO START PLAYING BETA? Click on Football, Tactics & Glory in your Steam library with the right mouse button. Select “Properties”. In the appeared window open the last tab and select “beta - winter update”. HOW DOES IT DIFFER FROM THE DEFAULT VERSION? The access to the Beta is opened for everyone who owns the game. While default version is polished and without known bugs, the Beta has new features but there might be bugs, crashes, bad or absent translations, other issues. We try our best to keep Beta as polished as possible, but it's Beta after all. For a long time, you have been able to play hot seat matches in Football, Tactics & Glory. The problem was that you could just play single matches. If you wanted to recreate the World Cup or any other tournament, you just couldn't do it. The game didn't give you the possibility to gather friends, create a tournament, choose favourite teams, set the rules, and find out who is the best tactician. In the last Beta update, you will be able to do all of that. Now, you can create a hot seat tournament with different rules for any number of players. WHAT IS GREAT IN OUR HOT SEAT MODE? At the end of tournament, there is an interesting statistics. Btw, we are thinking about adding such statistics to the single player campaigns. Write in the commentaries if you like the idea. Now, at the start of a new campaign, you can set the starting year. Now, you can rename already started tournaments. Just press the Gear icon and go to the renaming screen. Finished adding new sounds. 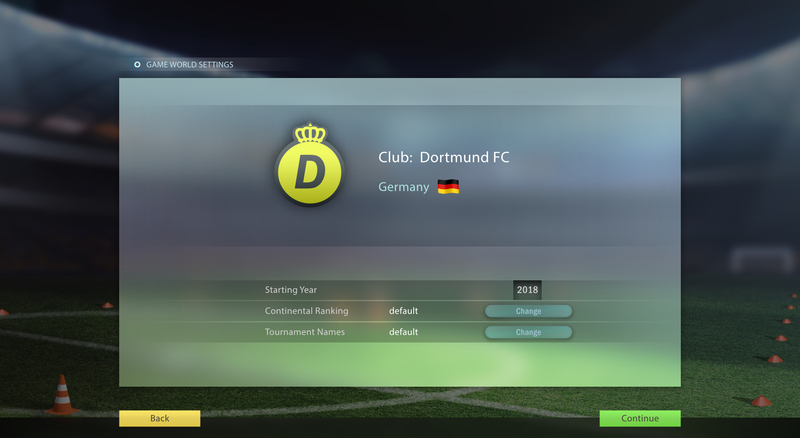 Now, the game gives you better feedback of clicks, hovers etc..
Slightly improved design of the following screens: Face editor, Club attributes, Team photo. Added a message about purchasing a footballer from the Compare screen. In the message about purchasing a footballer, the players were in a white shirt (instead of their current team's shirt). Fixed. Now, on the Opponent screen, the tactical view will be selected by default. Allowed to add a heavy rain at Winter in the Weather editor. Added the possibility to copy the tournament names and paste them in other modifications. It's very useful if you want to use the same continental tournaments in many of your modifications. Now, the tournament names in the Tournament Names Editor can be longer on 5 characters. Changed the general look of the pitches. Now, they are more realistic. Changed the camera in the kick off animations to make the footballers look closer.